Thank you Litfuse for sending me a copy of this book in exchange for my honest review! "Architect Vance Nolan has crafted a marvel—shining apartments floating in the peaceful cove of a winding river. When the project is partially occupied and about to make investors rich, a sinkhole gives way. Then torrential rains quickly flood the cove, leaving a handful of builders, investors, and residents cut off from the rest of the world. The motley group is bitterly divided over how to survive. Vance insists they wait for rescue. Developer Tony Dean wants to strike out into the darkness. And single-mom Danielle Clement, obligated to each man and desperate to protect her young son, Simeon, isn’t sure which one is wiser. Power failure, an unnatural daytime darkness, explosions, and then a murder slowly expose hidden intentions and dark histories. But Simeon has spotted something bright underwater—beautiful, shifting lights in the dark depths. In this watery world, everyone’s secrets will eventually come to light. And deliverance may mean more than just getting out alive." Erin never ceases to amaze me; her flawless writing and intricate weaving of the physical with the spiritual always keeps me coming back for more. My brain gets a workout with every novel of hers that I read and there is always an application to my spiritual life as well. Afloat was no different. I enjoyed every page of it, but I do have to say that this novel was harder for me to find the meaning in. Perhaps I spent too much time trying to figure out what the lights were (I'm still iffy on that), or maybe there was just so much going on that I was just running from one event to the next, I don't know. It did make this book a little less amazing and a little more confusing for me, but do not let that dissuade you from this novel. 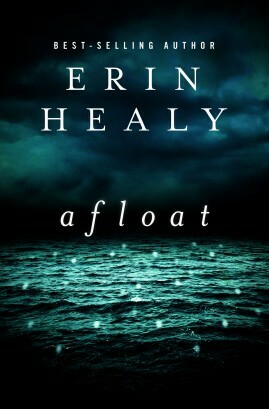 Even IF you are completely confused and have to read the book a second time (which I'm considering) you will still enjoy the amazing story that Erin has written in Afloat! In Afloat: I was fascinated by the floating apartments that were the setting for this newest novel, I can't even imagine how much research went into just this aspect of the book alone! Vance quickly became my favorite (as, it seems, he should) and there were plenty of times I wanted to yell at Danielle (possibly because I see myself in her). Besides the characters, who immediately won you over or left a bad taste in your mouth, the story kept me hooked. With every page there was a secret revealed, an escape attempt made or another little disaster happening. The action never stopped. Afloat quickly delved into the dark recesses of the human heart and explored the question: Who do you rely on? Who do you turn to in the deepest, darkest of times? I loved watching each character develop and the further I read, the more secrets were revealed. Afloat is definitely a book that will hold your interest and keep your brain spinning! Enter Today - 5/28 - 6/15! I received this book for free, in exchange for my honest review - thank you Litfuse! It is not often that I find myself up at 3am turning pages, completely engrossed in a novel these days. A family requires so much more of my time than I ever expected it would. I was aware of - almost - the entire storyline from the very beginning, because of the description on the back cover, but I did not expect my emotions to be so effected. It has been a long time since I have experienced such emotions from a simple novel. My entire mood was effected, even after I closed the book: to come up for air in the middle or as I turned the final page. Angela Hunt has written an amazing, fictional, story...that might as well be true, based on how strongly it effected me. Maybe, because I have experienced the joy of motherhood, the devastation of loss and the ties of love, this is why The Offering has effected me so - I don't know. 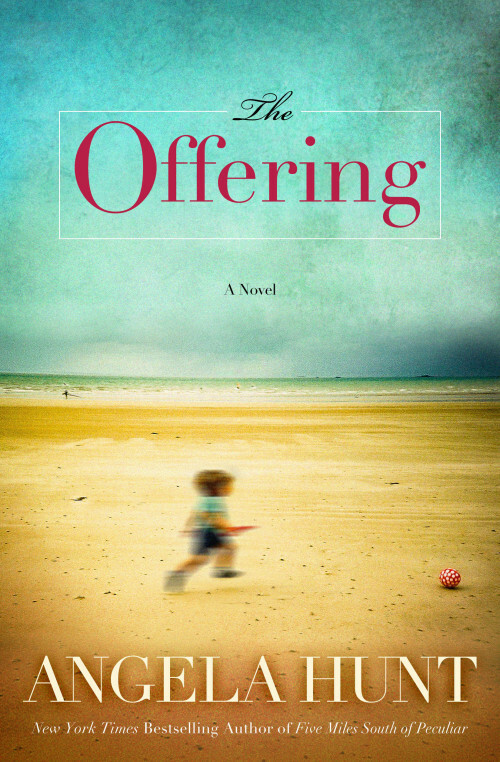 But I can tell you that this is a book to read alone, in the quiet, when you have a moment to truly experience what an amazing story The Offering is. Two years later she studies a photograph of the baby she bore and wonders if the unthinkable has happened - could she have inadvertently given away her own biological child? Over the next few months Mandy struggles to decide between the desires of her grief-stricken heart and what's best for the little boy she has never known." Many thanks, from the boys and I, go to ToyState for sending us this train set in exchange for our honest review! The boys were beyond thrilled when this train set showed up in our mailbox a couple of weeks ago. The Caterpillar Construction Iron Diesel Train is plastic, the engine is completely motorized (2AA batteries, not included) and it comes with two removable trucks as well as a container and boom that are magnetized for easy transferring to the stockyard. For the price (currently $17.71 on Amazon), you get a pretty decent basic train set. I'd consider it an intro to the train set addiction and a nice set to give to little boys who take their trains outside and fill them with dirt. I wouldn't be too broken up if this set found it's way outside. Would it hold up? We'll find out I'm sure :) But I feel like it would. The hook-ups for each trailer are easy. A toddler could hook and un-hook each trailer easily. The button to turn the train on and off is the red button you see on the top of the locomotive. I like that it's in an easily accessible location. The track stays together once you snap it all into place. 7 feet of track might sound like a lot, but it's really not. There's not many shapes to create, besides your basic oval. And currently I can't find any additional tracks you can buy. Although there is a larger set that comes with 14 feet of track. Along with that thought: there are no add-ons at all for this train set. Which is a bummer. We come from the "Thomas Train" era where there are bridges and roundhouses and train stations you can buy (for a pretty penny). I'd love to see this set come with add-ons. I love how affordable this train set is and would have no problems investing in additional items. The track is a little tricky to put together. I could see some connectors getting snapped if the boys aren't paying attention when they are hooking it up. The boys adore this train set already, we'll be keeping it around. And I'd definitely consider buying it for a friend's birthday party or for Christmas! The price point is right and, well your not looking at high-quality, it's not rinky-dink either. Thanks to Litfuse Publicity Group for giving me an e-book in exchange for my honest review! 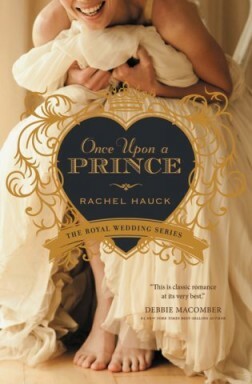 I absolutely adore Rachel Hauck's novels and who doesn't love a story about a common girl and a prince?! Full of fairy-tale romance and a challenge to truly let go and let God, this story will hook you from the first page and leave you with a satisfied sigh at the end! This is the first book in the "Royal Wedding" series and I cannot wait to see what's going to happen next! "Susanna Truitt never dreamed of a great romance or being treated like a princess---just to marry the man she has loved for twelve years. But life isn't going according to plan. When her high-school-sweetheart-turned-Marine-officer breaks up instead of proposing, Susanna scrambles to rebuild her life. It's the ultimate choice. His kingdom or her heart? God's will or their own?" Thank you to Handlebar Publishing for offering me a copy of this book in exchange for my honest review! 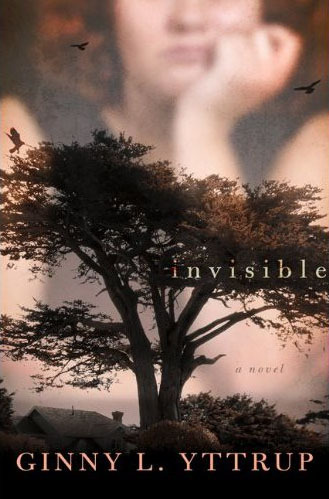 Invisible was a tough book to read. Yttrup writes about issues that are practically bred into girls these days and it touched a sensitive place in me. I think most women, at the very least, struggle with self-image issues and, at most, have a daily battle with food and/or feelings of self-worth. I was impressed with how well Yttrup spoke to these issues in her book. Even though Invisible is a work of fiction, I was challenged in my life - in my image of and attitude toward myself. Not only was this an enjoyable read that pulls you into the lives of Ellyn, Sabina and Twila, it was a book that forced me to look deep into myself and find out what I was hiding behind as well. This is a book that has found a permanent spot on my bookshelf! "Ellyn DeMoss -- chef, café owner, and lover of butter -- is hiding behind her extra weight. But what is she hiding? While Ellyn sees the good in others, she has only condemnation for herself. So when a handsome widower claims he’s attracted to Ellyn, she’s certain there’s something wrong with him. As these women’s lives intertwine, their eyes open to the glory within each of them as they begin to recognize themselves as being created in God’s image." Thank you to Edify Media Inc. for offering me a copy of this movie in exchange for my honest review! The Confession is the second book-to-movie adaptation in Beverly Lewis' The Heritage of Lancaster Country trilogy. This fiction trilogy was my first introduction to, not only Beverly Lewis, but Amish fiction as well and it is still one of my favorite novels! I was more than happy to review the first movie, The Shunning, when it was released and jumped at the chance to review The Confession as well! It's been a while since I've read The Confession, so the details of the story were pretty vague; which was nice because I was able to watch the movie without comparing it to the book. I absolutely loved The Confession (I think, more than the first movie)! Within five minutes the story had drawn me in (and almost made me late to work at the boys' school). LOVE. I cannot wait for the final movie in this series! This is also a completely safe movie to watch with your family and that's the part I love the most. If you haven't yet watched The Shunning or The Confession, this is definitely a series you want to add to your collection! "Based on the second novel in the acclaimed "The Heritage of Lancaster County" series by Beverly Lewis' The Confession continues the story of Katie Lapp (played by Katie Leclerc), a young Amish woman on a life-changing journey to find her English—or modern American—birth mother, the terminally ill Laura Mayfield-Bennett (Sherry Stringfield). Katie's mission is thwarted, though, by Dylan (Adrian Paul), Laura's husband, whose elaborate, fraudulent attempt to inherit Laura's wealth conceals Katie's true identity. Despite Dylan's deception, Katie's quiet faithfulness speaks volumes to Laura, who discerns that Katie is much more than hired help." Hey God, I've Got Some Guy Named Jonah In My Stomach And I Think I'm Going To Throw Up! Per new FTC guidelines I am warning you at the *top* of my post that this is a sponsored review. I received a copy of this book in exchange for my honest review. I thought it was pretty cool that someone decided to write a story from the whale's perspective (anyone remember that book about the three little pigs, but from the wolf's end of things? Loved that book) We've all heard the story of Jonah, 50 million times, but coming at it from a different angle makes us look at it again, in a new light! Unfortunately, as the adult in the family, I didn't think it was nearly as witty as it could have been. And the title is way to long for me LOL But, don't throw this book under the bus yet: the boys downright LOVED this book. Noah giggled through quite a few pages. and I did appreciate that the author included a few great lessons like, following God even when you don't want to and God's forgiving nature. There are a couple more books in this series and I think it would make a cute gift for young children. "Oh sure, we'll all heard the story of Jonah and the Whale a hundred times. But have we heard it from the perspective of the whale who experienced that history-making event? The "Parent Connection" feature will help moms and dads take the story further with scripture references and tips on how to talk with their children about what really happened. There's even a free online app to make this bright retelling even more animated and interactive."